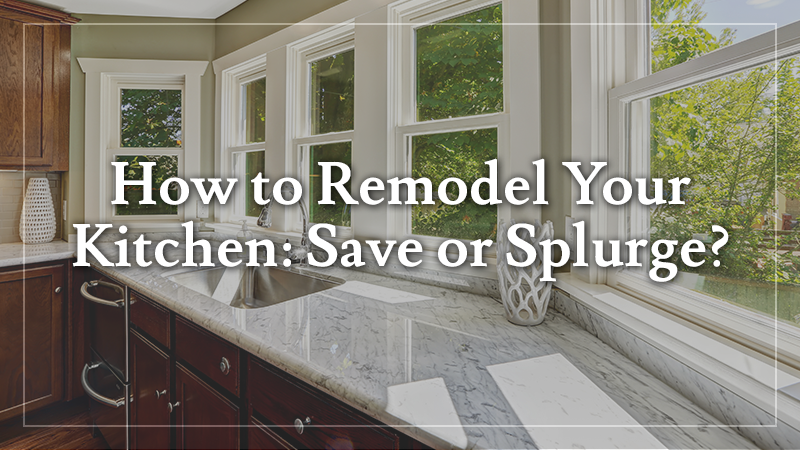 How to Remodel Your Kitchen: Save or Splurge? House renovations may make a building feel more like a home, but they have exploded into the mainstream thanks to the increased value that they add to the home, earning homeowners more profits on the resale. That said, it’s important to know where to spend your money to receive the most benefit and what to avoid as a money trap. If you want to make an impact on your kitchen, then you need to target the parts of it with the most surface area. Namely, that would be your countertops and your cabinetry. Redoing your cabinets allows you to restructure your kitchen, adding more space for storage and altering the background color of the room. Home renovation projects of this size can be difficult for beginners between managing an inventory and the skilled labor that it requires. At a minimum, you should carefully measure your kitchen and deliberate on the materials you choose before you spend a penny. Of course, replacing that much carpentry and masonry is going to be costly. For a full remodel of a standard home’s kitchen, you can expect to pay more than $10,000 for just the materials alone. Despite the upfront cost, both home appraisers and home buyers will look at the upgrades favorably enough that the renovation will eventually pay for itself. If you don’t feel like venturing into the quintuple digits for your renovation project, you can still make your kitchen more inviting and attractive by looking for minor improvements to make that won’t break the bank. Appraisers may not dramatically improve your home’s suggested market value, but it may make the difference between someone falling in love with your home or walking out on a sale. Finding and completing strategic renovations requires knowing your home, the market and the art of home improvement, so it can be difficult to know where to begin. An excellent way to start is to take the expensive project you had in mind and look for less expensive alternatives. Instead of replacing your cabinets, you can refinish existing ones to remove signs of damage and give them a fresh lease on life. If you want to redo your counters, try an artful backsplash project using tiles in complementary colors. 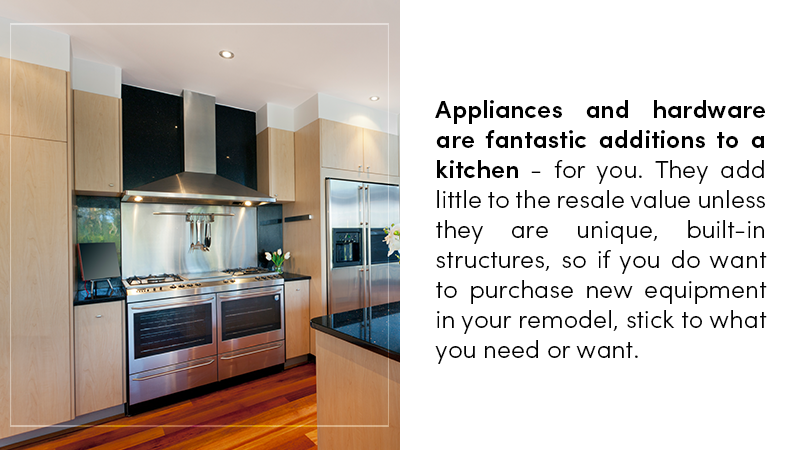 Appliances and hardware are fantastic additions to a kitchen – for you. They add little to the resale value unless they are unique, built-in structures, so if you do want to purchase new equipment in your remodel, stick to what you need or want. Replacing older appliances with modern models with better energy efficiency may save you money in the long run if the difference is significant enough. However you decide to renovate your kitchen, you will see the best results by allowing an experienced home remodeling contractor help design the plan of attack and implement the changes. Homeowners in Murfreesboro and the surrounding middle Tennessee area can call us at L&L Contractors for an expert consultation. Whether you plan to raise a family in your home or pass it on to the next one, your home deserves the professional treatment, and we’re ready to deliver it.